Steel plated stem with an aluminium head. 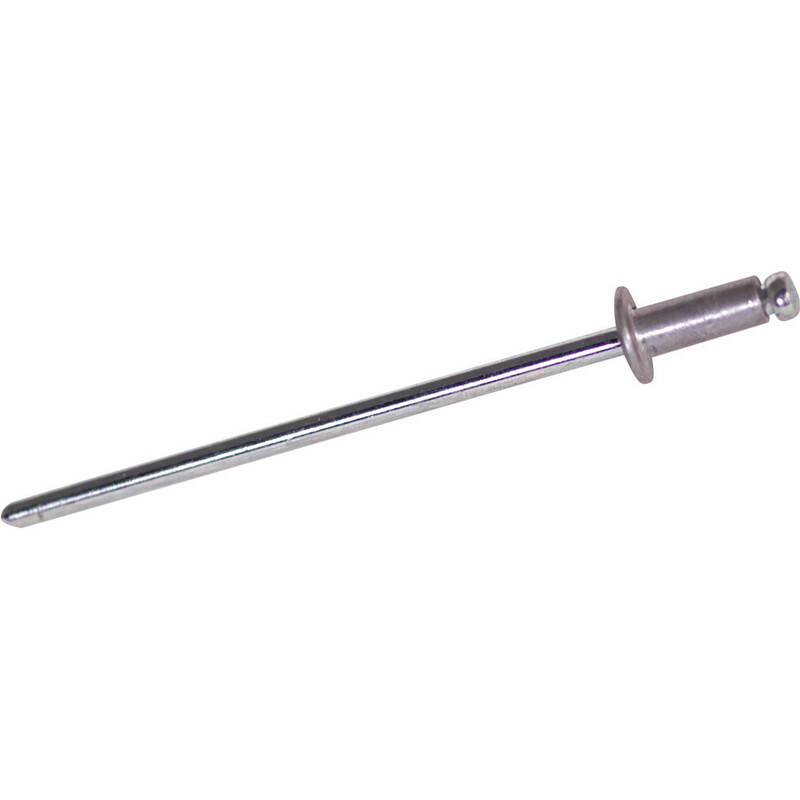 Dome Head Rivet 4.8 x 8.0mm (100 Pack) is rated 4.5 out of 5 by 20. Rated 5 out of 5 by Mabel Able from Pop rivets A decent quality rivet, creates a good shape when popped. Opening hours made it possible to buy what was needed on my commute home. Saved the day! Rated 4 out of 5 by waltinwales from Handy rivets Not the best rivets on the market (the odd pull-through) but for the price i couldnt find better anywhere on't tinternet. i always keep a stock of Toolstations rivets as they are equal to any when using a pneumatic riveter (a must when popping hundreds of rivets). Rated 4 out of 5 by Robin952 from Spot on I needed rivets and that is exactly what I got. No complaints.